Scroll down to read the 'Description Of Item'. hero to so many kids who will copy what he does ! We salute you Gerrard for the example you set ! Who is Alexis Sanchez ? United made a 'significant' bid for him. So I figured out he must be something special. Many people asked me about him so I did some checking. Berbatov Or Some Average Joe From Holland ? from some United fans !!!! then yes, I agree, take youth. But a couple of years ? Irrelevant !! The so-called 'need' for an 'out-and-out' striker is rubbish !! striker ???? Come on - please - keep it real folks. any bad bits to his game !! say a bad word about them, but I know they are far from World Class. owned him, big time !!! hardly future World Cup winners ! In short, he has 2 'real' caps at the age of 24. Big deal ! Maybe at club level Huntelaar will look much better ? Sadly, that's not true either. (Whoever they might be) he scored 17 in 31 apps. Qualifying Round on both occasions in 2006 and 2007. So what about Berbatovs career I hear you all asking. His first two teams were the same two his father actually played for. 9 in 11 games but Bayer Leverkusen stepped in and grabbed the young star. Now he was in the big time !! the Champions League Final against Real Madrid. luding 6 in the Champs League. 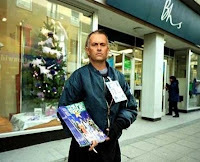 Since 2004 I prayed someone from United would spot him and sign him. in a pre-season match. On his full debut he scored after 2 minutes !!! who was never linked to a big team as a youngster. inflation with the prices then yes £10m maximum !! Cup Final. 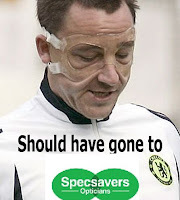 He has appeared in the Carling Cup Final !!! So how much ? £30m is too much some say. £35m is too much others say. for win number 4 !!! the mill" Dutch guy in the same sentence as the great Dimitar Berbatov ? I will be devestated !!! We haven't seen the best of Berba, nowhere near. even out strip The King. And Now Tevez Joins In ! on, and you're not involved, keep a low profile. Say nothing. It's the best policy. I would have expected a touch of loyalty from him, if not, then steer clear of the whole issue. asks for a move to Madrid. Portugal last week for talks with the injured Ronaldo. 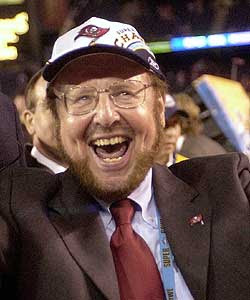 Both Fergie and The Glazers have said he is going nowhere !! So let it rest !! We all know that ! Chelsea Bloggers Looky Here ... !!! Pensioners" as Fergie rightly pointed out !! would agree with him. If it isn't broke, don't fix it as the saying goes. could develop, and we think there is further progress there,"
Burnley last year, it seems Burnley are keen to sign him for another year. to think about playing regularly. I have to look somewhere else. all sorts of options available. Challenge match played at the Kings Park Stadium last night. Challenge series two years ago at the same venue. champions of Europe and England in this annual tournament. really good saves in the second half. We were a little lucky not to have conceded a goal,"
staged at the Loftus stadium on Saturday. Kick-off is at 3.30pm. Calderon Wont Give Up & The Slave Wont Commit !! Ronaldo away from Manchester United. go for it all the same. pay a lot more money." "Don't worry, we have it all sorted." Tevez. So Chris Eagles is top scorer for the season as we speak ! "It was exactly the kind of match I was hoping for because it helped us build rhythm,"
chances," Fergie explained. United will play Orlando Pirates on Tuesday. podaniu Carlosa Teveza, skierował głową piłkę do bramki Itumelenga Khune. Rafa, Alex !!! You're Bad Bad Boys !! went berserk... ahhhh ha ha !" 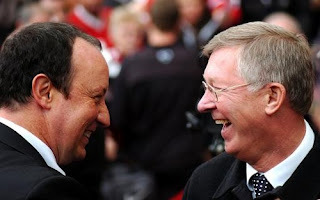 Rafa: "Oh Sheet, what did he say ?" 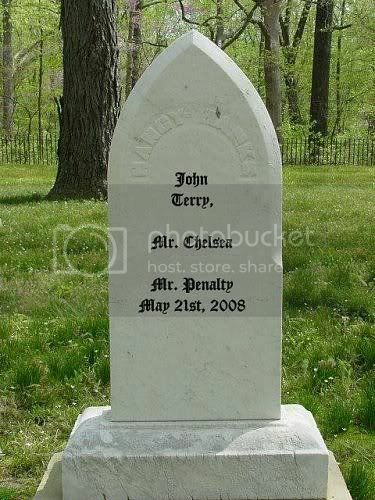 to the FA miserable git"
are funny ? Well I told on you na na na naaaa nah. I told the FA so there". 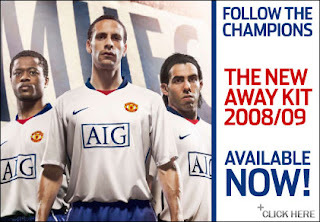 Levy: "Oh f*ck off ...."
I am guilty of assuming everybody had seen the new kit for 2008-2009. Hence I didn't bother adding it here. -----Манчестер Юнайтедын шинэ away өмсгөл гарчээ. Харин худалдаанд албан ёсоор 7-р сарын 18 нд гарна. change. You ask, you get turned down, you retreat. brat who can't get his own way !! corner. This is the last thing he needs to disrupt his plans. Ronaldo and Real Madrid," Levy said. should refrain from pursuing the player. outside of Premier League rules of conduct." interference with one of our players. about the conduct of Manchester United. in relation to breaches of the Premier League rules K3 and K8. Come on boys, enough is enough. This is all just childish and unprofessional !!! What Does Marca Really Mean ? based in Spain (Marca) are at it again. and Manchester United over the sale of Cristiano Ronaldo. 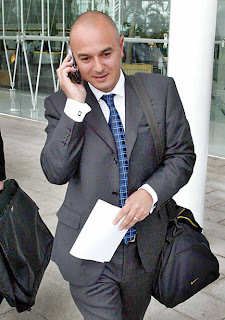 told the Glazers "have agreed to the operation". Cristiano Ronaldo is not for sale. dressing room of discontent at the amount of money Ronaldo will be earning if he does go there. did go turn up - on £200,000 a week !! “For me, this Madrid side do not need new signings,” said Sneijder. didn't just wait two years when he would be halfway through his contract and then broker a deal. This is just causing unrest and upset in too many corners. at Old Trafford with a good few songs about slaves to taunt him with !!! Fernando Torres, Alexis Sanchez, Carlos Tevez. 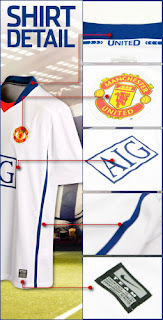 Trafford to sign for United !! Some more Spanish bull's excrement !! Torres and our very own Carlos Tevez !!! eyeing as a possible replacement for Ronaldo in the long term. didn't impress Udinese much either. Felicevich said "The figure Udinese turned down is very important !" Interesting ! Probably 50 quid and a Tom-Tom sat nav if Gill had anything to do with it !!! Who said footballers were stupid !!?? Well not our Ryan, he has a degree ! It's been given to him for his contribution to sport and charitable causes. He was presented with a Master of Arts in a ceremony recently held at the Lowry Theatre. Having collected his award Giggs told the MEN: "I'm really pleased to accept this degree. part of Salford University now." 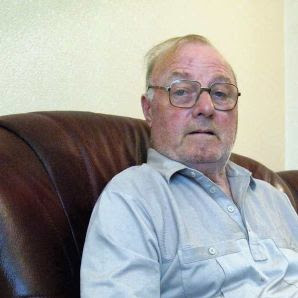 this ocassion it is fully deserved and it couldn't have happened to a nicer guy. see him move on to stand alone as the record holder. ambassador for Unicef is admirable and I salute you for that Ryan. Arise Sir Ryan Giggs ? 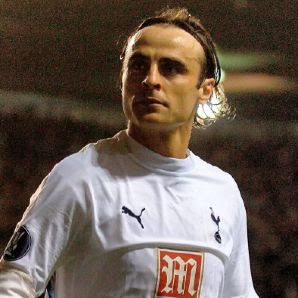 Once United land Dimitar Berbatov (fingers crossed) it will seem likely that, fit or not, Saha's days at Old Trafford are numbered. But all is not lost for the ex-Fulham player who cost United £12.8m four and a half years ago. Roy Keane, manager of Sunderland, has been showing interest in the guy so watch this spot. It could be 'aurevoir mon petit garcon' for the Balsawood man. Whilst on the subject of Roy Keane, he again is showing a great deal of interest in Johnny Evans, the young defender he has already had on loan twice. He is looking to either buy Evans or take him on a third long-term load spell at the Stadium of Light. What Now For Frazier ? 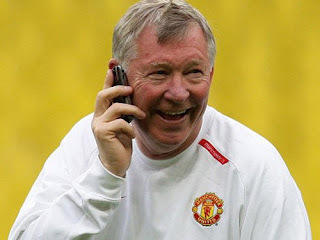 Phil Brown, the Hull City boss has been on the phone to Fergie apparently. 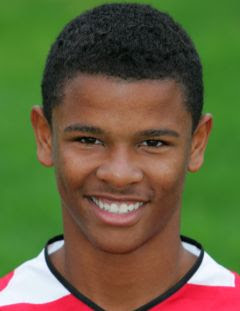 him up to speed with the progress Fraizer Campbell had made all season. "I fully trust Sir Alex's word on that and when they come back from South Africa I will be putting a call in. There is always a possibility." "He is very, very important to me, and that we get the right quality strikers in," Brown added. became available we would certainly be interested in taking him, either permanent or on loan." Damn right he's important to you Mr Brown !! He's virtually the only guy who scored for you last season ! including Aston Villa, Brown wont get him cheaply ! Personally I'd like to see him stay with us. I've watched him in a few reserve games and he is certainly 'above average'. Cristiano Ronaldo - branding him 'a silly boy'. Sepp Blatter's claim he had been treated like a slave by the Reds. claimed he `lacked maturity'. At his peak Albert earned £25 a week !! was I wouldn't have minded being in the same boat." Ronaldo's future has been subject to a lot of speculation over the summer. stature and standing to behave the way they have is a disgrace !! 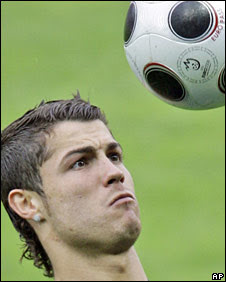 Ronaldo has four years of his contract to run and United have stood firm - prompting Blatter's outburst. And responding to the outburst in Portugal, Ronaldo said: "I completely agree with the president of FIFA." agreeing with what headmaster Blatter has said." AND WAS HAPPY TO PUT PEN TO PAPER WITH THE NEW CONTRACT HE SIGNED 12 MONTHS AGO !!!! You have a contract Mr Ronaldo and you signed it !! You ARE obliged to HONOUR it. Now shut up and get on with it !! value him at around £30m. continuing to link Cristiano Ronaldo with a move to Real Madrid. How much is Berbatov worth? Manchester United a comfortable win over Aberdeen in their challenge match at Pittodrie. shoot-out win over Chelsea in Moscow. off to a standing ovation minutes later. first game ahead of the new season. “They all did all right. There was no real great performances,” he told MUTV. “You can’t expect any great performances - that’s the reason for pre-season games. A near sell out crowd of 20,500 turned up for the game. including Rooney, Ryan Giggs, Paul Scholes and Scotland international Fletcher. club of such stature, but I have a job here. Swansea chairman Huw jenkins told the Evening Post: "It's nonsense." the table. Imagine the excitement of having 'The King' back again !!! 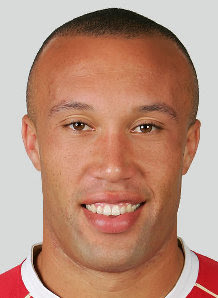 up a £2million bid for Mikael Silvestre. miss out on a potentially lucrative testimonial match at the end of the season. Pre-Season Games Are Almost Here Again ! that's consigned to the history books now ! It's time for Fergie and the boys to plan for the coming season ahead. ially as Ruud van Nistelrooy did great things with them." (Monday 7 July) on his right ankle. by the specialist in one month. How Would Adolf Have Reacted To Ronaldo's Actions ... ? to six weeks, and may miss the start of the new season. for the Premier League start on 16 August. the extent of his injury. Your thoughts on the on-going Ronaldo saga ... ? Alex Ferguson's plans for next season. which sidelined him for most of April. a trait Ferguson values highly. he keeps coming back. He’s an important player to us. think to yourself ‘I’m going to make an impact if I get on’. You can’t let your head get down at all. I'm so glad to hear Fergie is taking care of Fletch. He's a good guy. He sits there patiently waiting for his chance to play. Then when the chance finally comes along he very rarely let's us down !! A good man and a good servant for United ... what do you think ? United Boys Back With A Bang !! things up. I’m not really looking forward to it. But you’ve just got to get through it haven’t you? I think, it’s just the quicker stuff that is quite hard. experience to get through it." head to South Africa for the Vodacom Challenge. (United will play one of them twice). then entertain Juventus at OT on 6 August. assess the extent of his ankle injury. Madrid rumours get a bit thin on the ground !!! It has all the earmarks of a certain Mr Beckham. man and now complains about it !!! Greed has already cost him a lot of cash already. the sole beneficiary of his image rights. SO COME ON FERGIE !!! EVEN IF IT COSTS £12M !!! Lippi: "Italy To Follow Man United's Example"
are always willing to work hard in defence when needed."